Meet the Labour and Wait Mail Order Team. 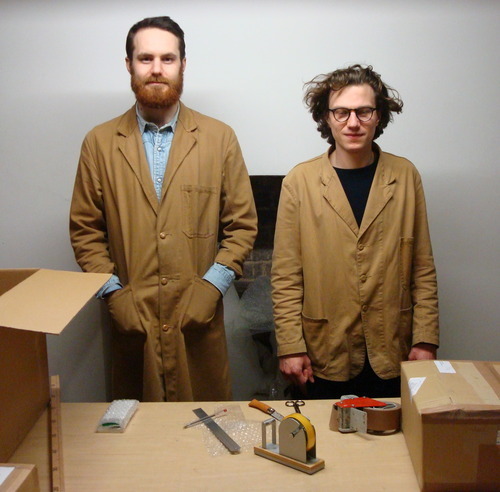 Every order that gets sent out from the subterranean Labour and Wait dispatch centre is expertly picked and packed by Jasper and Dominic - with help from old friend Brian during the busy Christmas period. 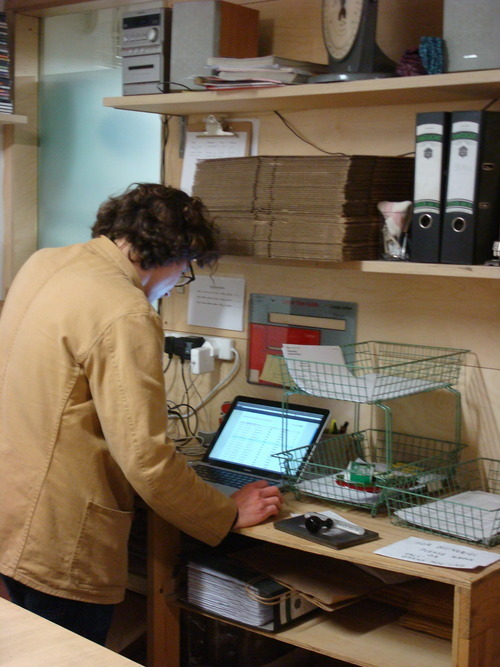 Orders are received in the nerve centre of the Admin Department. 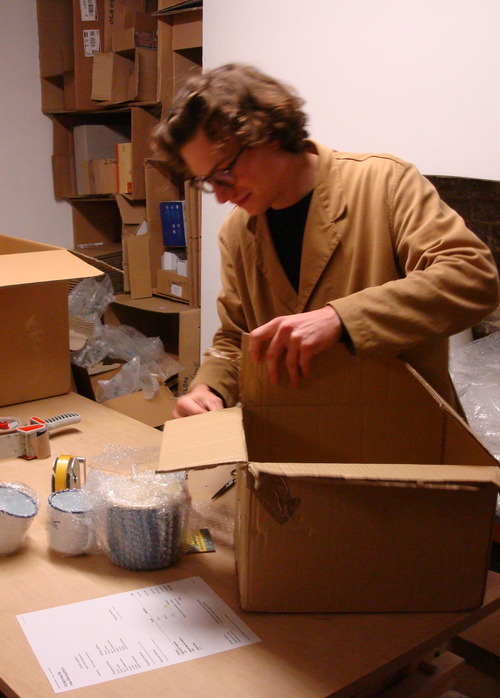 Each one will contain a unique mixture of products requiring the careful selection of the appropriate box from our cardboard mountain. 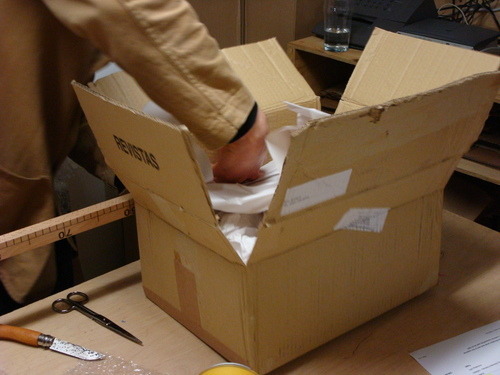 We recycle as much of the packaging we receive as possible, so although your package may not look perfectly new, it is helping to save the planet. Each box has any existing tape or stickers removed before it is repurposed. 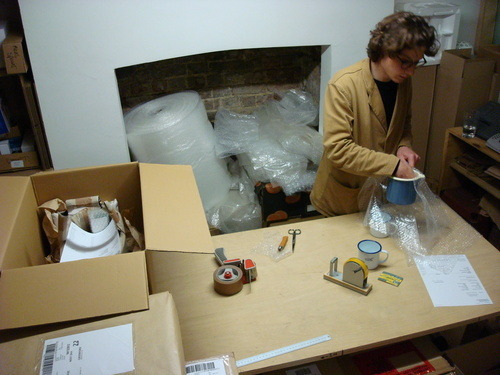 Although the packaging is recycled, the Mail Order Team pride themselves on sending out beautifully neat and tidy boxes. 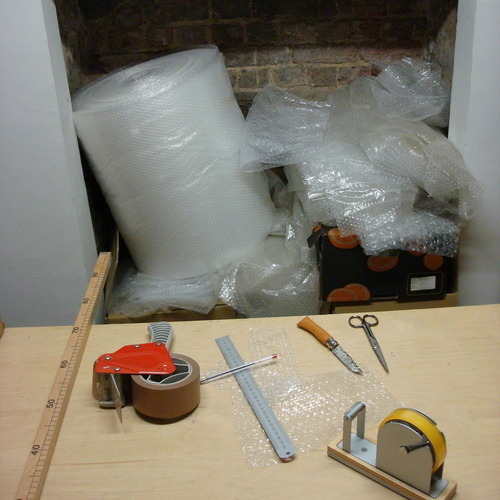 Many of our items are delicate so require careful wrapping in ( recycled ) bubble wrap. The Housekeeper’s Bucket is a particular favourite with the Mail Order Team. They love carefully wrapping these to prevent damage from any possible mishandling in transit - why not order two, and brighten up their day? 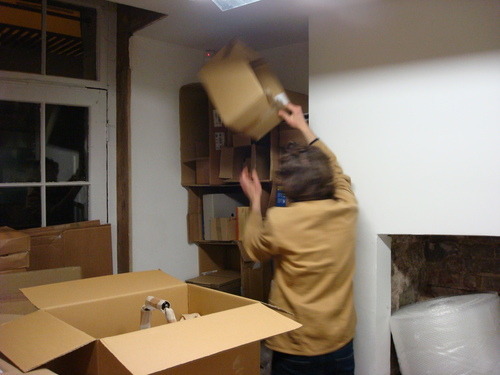 Boxes are often cut down to size, to ensure a snug fit for the contents. 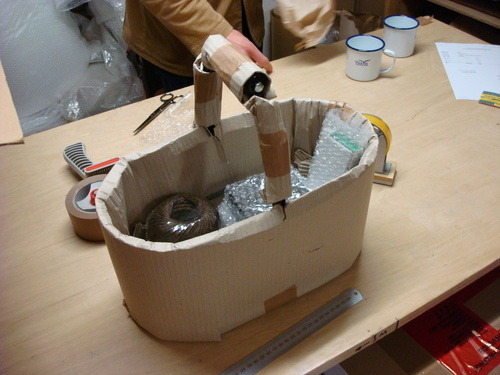 Other packages require more inventive solutions. Take the Large Feather Duster, for instance, which often finds itself in the most unusual of places. The lifeblood of any hard-working team is tea. Here it is used as inducement for Dominic - no tea until these orders are finished! 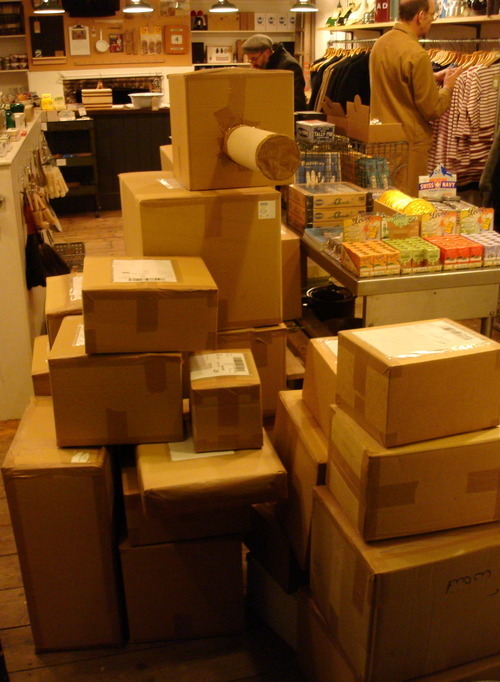 As Christmas approaches, the basement is taken over by cardboard - wall to wall, as far as the eye can see. The Mail Order Team’s Tools of the Trade. 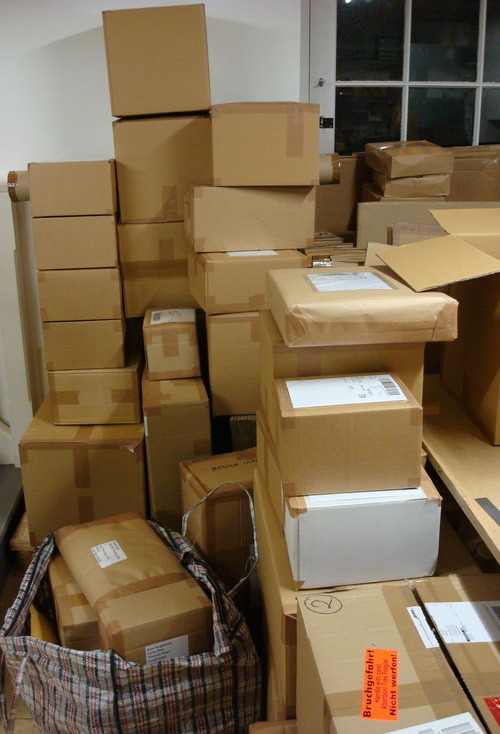 At the end of the day, the boxes are ready to be picked up. 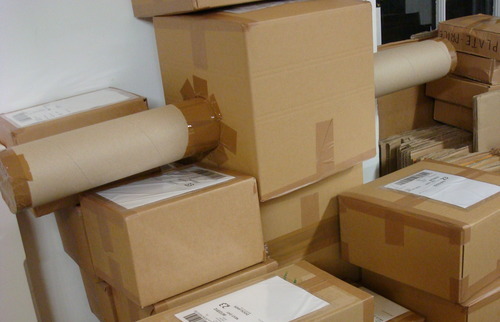 Some of these packages will travel as far afield as Clitheroe, Newport, Los Angeles and Slough - we imagine the excitement of the recipients as they receive their package and tear it open. This is the all the motivation that the Mail Order Team require. That, and lots of tea. If you require delivery for Christmas, please ensure that we receive your order by Wednesday 19th December.